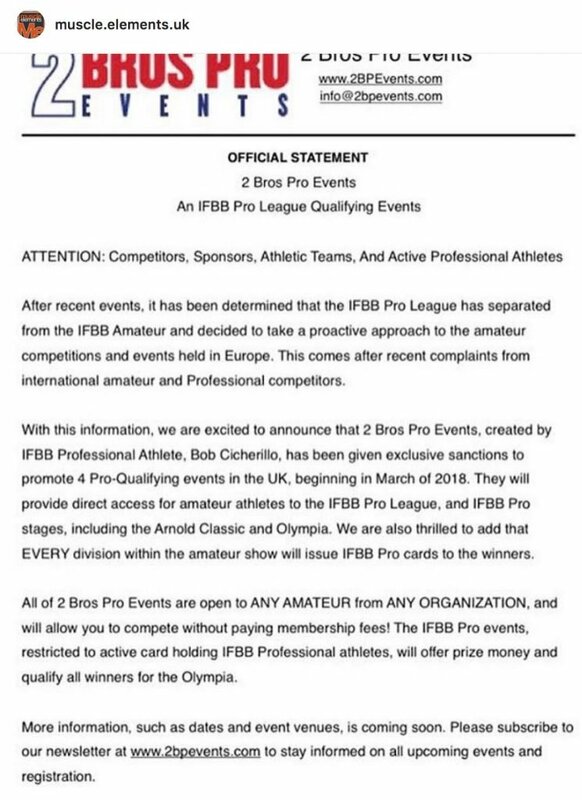 After events that occurred during the 2017 Amateur Olympia in Vegas last week, it seems that there has been a historical split between the IFBB Pro League and IFBB Amateur. In a letter that was revealed to the public from the CSFF (South American Confederation of Bodybuilding and Fitness) last week, they explained that the NPC judges to not have the qualifications of the international IFBB judges and they do not have the International card. Since it was revealed that the NPC insisted that they judge the Amateur Olympia, the IFBB pulled their judges out. As well it was also revealed that the IFBB judges went to the show with their respective athletes not wearing their IFBB uniforms. The CSFF asked the IFBB for action to be taken against the NPC for the events that occured. 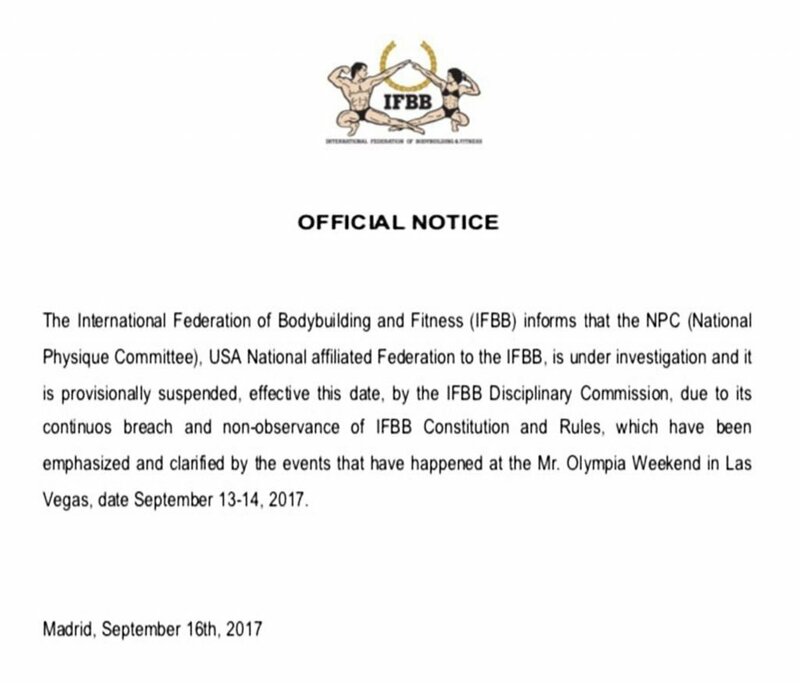 Not long after, a press release released by the IFBB stating that the NPC are suspended temporarily for the events that occurred at the Olympia Weekend in Las Vegas between the 13-14 September 2017. After all this happened, there has been no more official news released. On Monday, 18 September, 2017, to add more drama to this, a press release has been circulating on the internet from 2 Bro Pros Events stating that the IFBB Pro League has officially split from IFBB Amateur. The press release revealed that Bob Cicherillo has been given exclusive sanctions to promote 4 Pro-Qualifying events in the UK, beginning of March 2018. According to the press release, the competitions will provide direct access for amateur athletes to the IFBB Pro Leaguem and the IFBB Pro stages, including the Arnold Classic and the Olympia. Also every division within the amateur show will issue IFBB Pro cards to the winners. The most interesting news is that the events are open to ANY AMATEUR from ANY ORGANIZATION, and will allow the competitors to compete without paying anyt membership fees. 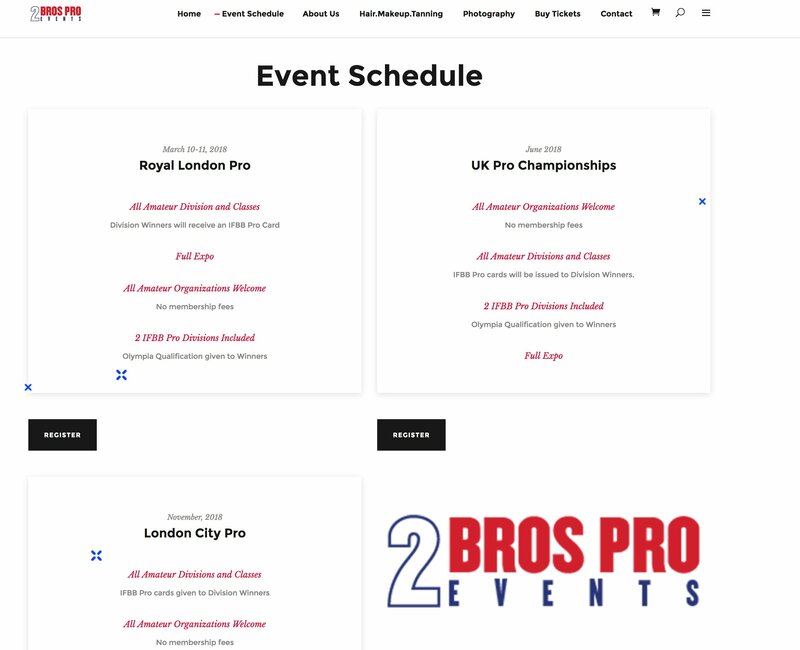 The IFBB Pro events are restricted to active card holding IFBB Professional athletes. 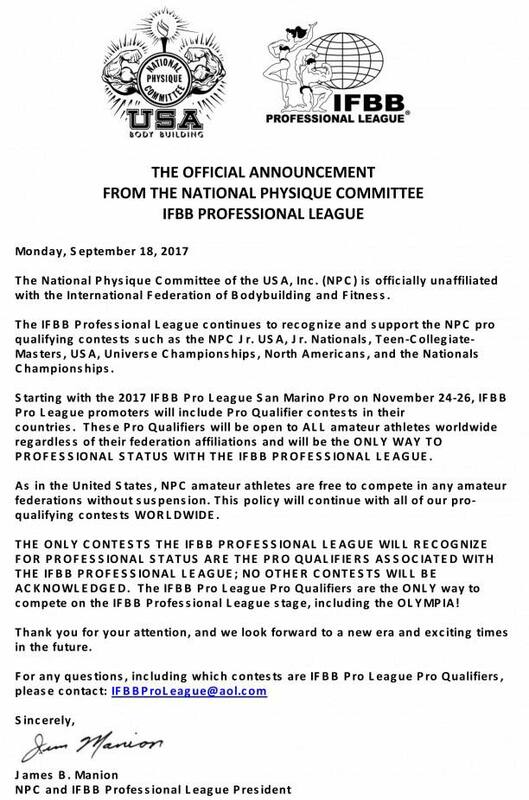 A few hours after the first notification was published, the IFBB Pro League and the IFBB Amateur released separate press releases. Many questions are still to be answered and Evolution of Bodybuilding.net contacted the IFBB Pro League and are still waiting for an answer.